This Place of Worship was founded in 1841, but we understand it was closed after 1980, and the premises are now in secular use. 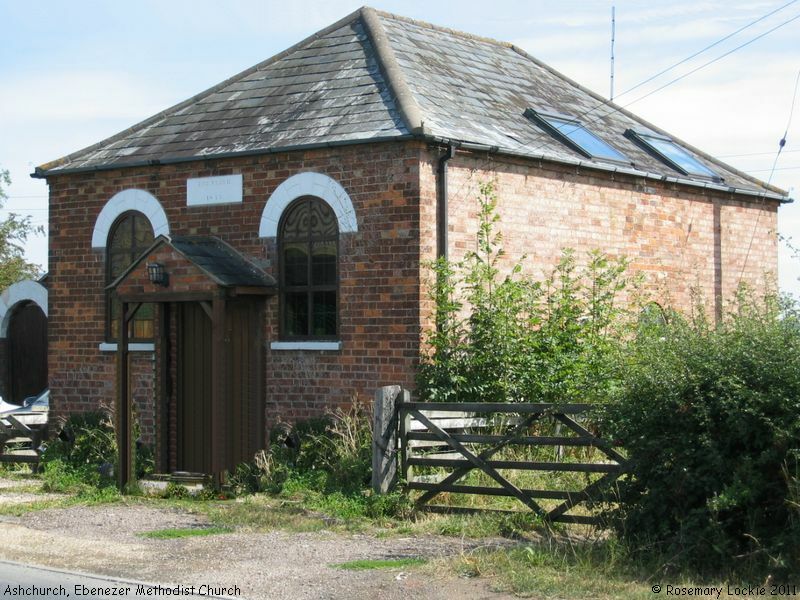 According to Non-Conformist Chapels and Meeting Houses, Gloucestershire (1986), this church dates from 1845 - "three bays with hipped roof". The plaque in their photograph is readable as "Ebenezer / Methodist Church / 1845". The Church was still marked as a place of worship on my OS Landranger Map of 1980, but please note that today it is a private house. Ebenezer Methodist Church, Ashchurch shown on a Google Map. Places of Worship in Ashchurch shown on a Google Map. Information last updated on 20 Aug 2011 at 12:51. Please also remember that the former Ebenezer Methodist Church is understood to be in secular use, so care should be taken to preserve the privacy of its occupants. This Report was created 27 Mar 2019 - 10:14:36 GMT from information held in the Gloucestershire section of the Places of Worship Database. This was last updated on 7 Feb 2019 at 07:45.